With Sidney Onwubere. Sid was still in high school when I befriended him. have been mentoring him since. Hope this kid reaches the success he dreams about. His teammates with the Emilio Aguinaldo College Generals asked Onwubere to come over to one of the dorm rooms for the players. There Onwubere learned that his long-time roommate, Hamadou Laminou – the team’s center -- would be out for the season due to a knee injury. That night lying in bed, Onwubere couldn’t hold back the tears. During the pre-season, the Generals showed a stinginess; a willingness to compete. They chalked up some big wins and lost by a whisker. Now they finally could challenge for a Final Four slot and it somewhat seemed a little farther now. Sidney Onwubere knows all about tough challenges and being a part of the have nots. As a half-African kid growing up in Valenzuela, Bulacan, he turned deaf to any racist jokes. “I know that black is beautiful and so I didn’t mind anything people said or say,” he recalled of his youthful days. Because of inter-racial marriages and globalization, it is more prevalent nowadays especially in Philippine society. So it doesn’t bother Onwubere one bit. Sidney, now at 24 years old, is the third of five children. His father, Vincent Onwubere is Nigerian while his mother Lisa is Filipina. After losing his job recently, the father does odd jobs to help keep the family afloat. Last season, EAC finished with a 6-12 record. “That was our best record in – I don’t know?” he said. Ture enough, the Generals won two matches in Season 91, four in Season 90, and 10 in his rookie year of Season 90. But that team of Generals were on the outside looking in; finishing fifth – a game and percentage points behind San Sebastian and Perpetual Help. 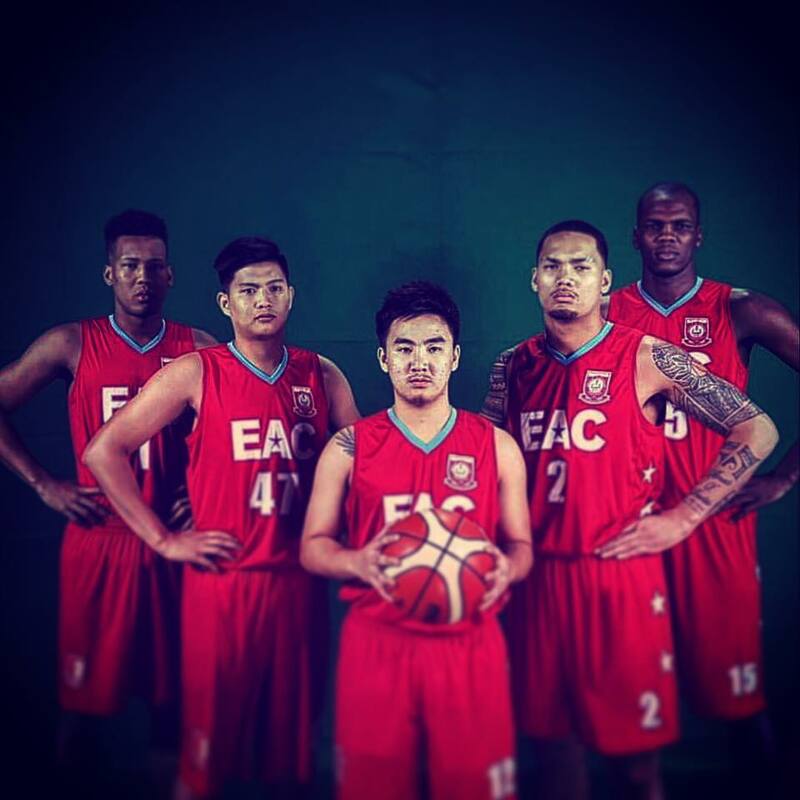 At the end of the first round of play, EAC stood at 4-5. Once more on the outside looking in. They have a chance despite the loss of Hamadou. Former Adamson Soaring Falcon Jerome Garcia (another player with a lot of motivation and something to prove) has stepped into the line-up and given the team another scoring threat. Along with tough-as-nails point guard Francis Munsayac (and Hamadou before his injury), they are all averaging in double digit scoring. Thus far, Sidney is averaging 14.9 points, 11.8 rebounds, 2.6 assists, and 1.9 blocks per game. That makes him seventh in scoring and third in rebounding. The only other player in the NCAA who is averaging a double double is Perpetual Help’s Prince Eze (15.4 points and 17.4 rebounds). Juju Bautista and Jeric Diego have also provided relief. But right now, the Generals need to work on their defense.